Febrile seizures are a common cause of convulsions in young children. They occur in 2 to 4 of children younger than five years of age, but the incidence is as high as 15 in some populations. This incidence has been attributed to closer living arrangements among family members, but racial and geographic variations may also be important. 1. Simple (benign): simple febrile seizures are the most common and are characterized by seizures that last less than 15 minutes, have no focal features, and, if they occur in a series, the total duration is less than 30 minute. It is not known how or why seizures are generated in response to fever; it may be that fever-induced factors (e.g. interleukin-1beta) or proconvulsant in individuals who are susceptible based upon the stage of brain development and genetic susceptibility. Certain ion channels in the brain are temperature sensitive and may generate fever-associated synchronized hyperneuronal activity. Febrile seizures can occur during both viral and bacterial infections. In one hospital based study, the incidence of febrile seizures was similar with influenza, adenovirus , and parainfluenza infections (6 to 18%), and somewhat less common with respiratory virus and rotavirus. No specific virus was associated with risk of complex febrile seizure. Susceptibility to febrile seizures has been linked with abnormalities in neurotransmitters. However, whether observed abnormalities were primary events or were secondary to the convulsions is unclear. 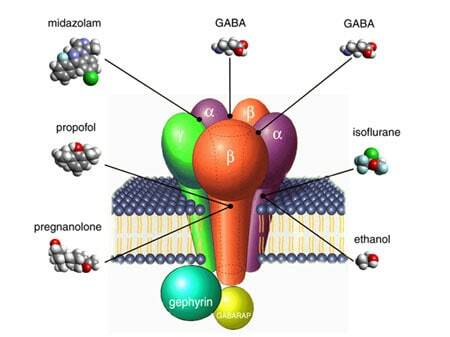 As an example, the cerebrospinal fluid (CSF) concentration of gamma-aminobutyric acid (GABA), an inhibitory transmitter, was reduced in one series of children who were studied after their first or second febrile seizure; the samples were obtained after the convulsion and, thus, may be the effect rather than the cause of the seizure. Furthermore, low CSF GABA was not confirmed in other studies of children with febrile seizures. (Why does fever trigger febrile seizures? GABAA receptor gamma2 subunit mutations associated with idiopathic generalized epilepsies have temperature-dependent trafficking deficiencies. 2009). CSF neopterin concentrations may be elevated in children with febrile seizures. Because neopterin is secreted by activated macrophages, this observation suggests immune activation within the central nervous system. Genetic and familial factors appear to be important factors in the expression of febrile convulsions and the subsequent development of epilepsy in some children. Among first-degree relatives of children with febrile seizures (family history), 10 to 20 % of parents and siblings also have had or will have febrile seizures. In addition, monozygotic twins have a much higher concordance rate than do dizygotic twins, in whom the rate is similar to that of other siblings. It has been recognized that there is a significant genetic component for susceptibility to this type of seizure.The trait is transmitted in an autosomal dominant fashion. Six susceptibility FS loci have been identified on chromosomes: 8q13-q21 (FEB1), 19p (FEB2), 2q23-q24 (FEB3), 5q14-q15 (FEB4), 6q22-q24 (FEB5), and 18p11 (FEB6). Furthermore, there are also mutations in the voltage-gated sodium channel alpha-1, alpha-2 and beta-1 subunit genes (SCN1A, SCN2A and SCN1B). However, the causative genes have not been identified in most patients with febrile seizures. Common forms of FSs are genetically complex disorders believed to be influenced by variations in several susceptibility genes. Recently, several association studies in FSs have been reported, but the results vary among different groups and no consistent or convincing FS susceptibility genes have emerged. To find a true association, larger sample size and newer methodologic refinements are recommended. These observations link febrile seizures with afebrile seizures in some families with an autosomal dominant fashion. In addition, previous studies have shown that siblings and parents of patients with febrile seizures have a 4 to 10% incidence of epilepsy. Febrile seizures are dependent upon a threshold temperature or the height of the body temperature. The pathophysiology of febrile seizures is unknown. Current genetic studies show that some febrile seizures result from channelopathies: a disordered regulation of ionic homeostasis underlies the genesis of febrile seizures. In transverse hippocampal CA1 slices from 104 rats, temperature increase from 34 degrees to 40 degrees C produced a series of spreading depressions (SDs), called hyperthermic SDs which are age-dependent. The hyperthermic SDs usually occurred on the rising phase of the temperature. The hyperthermic SDs induced a reversible loss of evoked synaptic potentials and a dramatic decrease of input resistance. Neuronal and field epileptiform bursting occurred in the early phases of the hyperthermic SD. 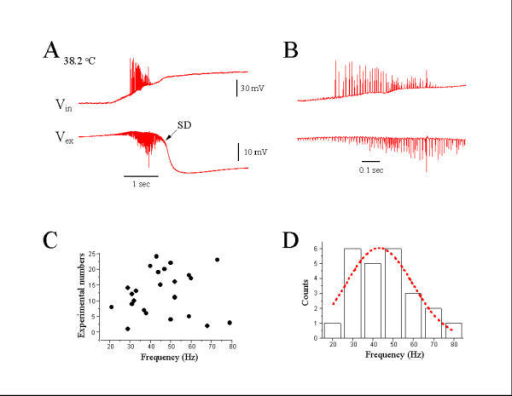 During hyperthermic SDs, pyramidal cell membrane potential depolarized by 38.3 /- 4.9 mV, extracellular field shifted negative 18.5 +/- 3.9 mV, and extracellular K() rose reversibly to 43.8 +/- 10.9 mM. Similar SDs could be evoked by ouabain or transient hypoxia with normal temperature. Tetrodotoxin could block initial epileptiform bursting, without blocking SDs. Hyperthermia-induced SDs should be investigated as possible contributing factors to febrile seizures. 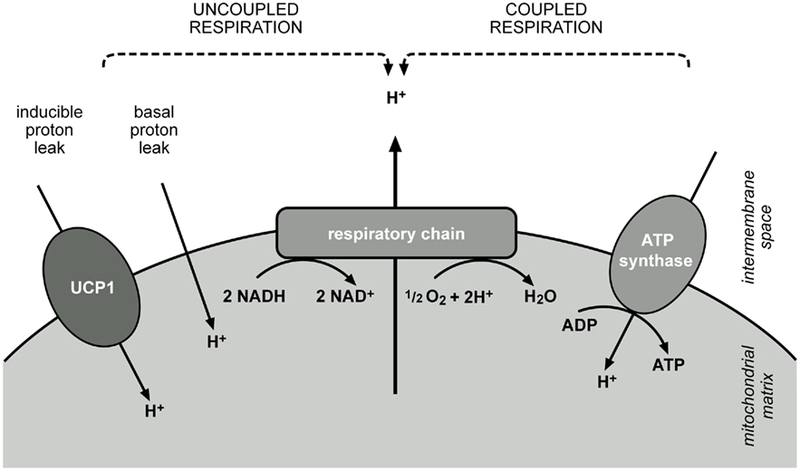 The increase of temperature in the febrile range (hyperthermia) also induced intracellular reactive oxygen species (ROS) production and mitochondrial ROS generation so the energy supply (ATP) may become impaired due to increased inner‐mitochondrial membrane permeability and inefficient oxidative phosphorylation. Increase of temperature above 42 degrees C caused abolishment of ATP synthesis indicating complete uncoupling of oxidative phosphorylation. The changes in mitochondrial functions induced by incubation at 42 degrees C were completely reversible in contrast to only partial recovery after incubation at higher temperature (45 degrees C).Therefore ,hyperthermia febrile increased oxygen waste is not accompanied by a proportional increase of ATP, and this may be the cause of convulsions typical of febrile seizures. Iron insufficiency may play a role in pathogenesis. 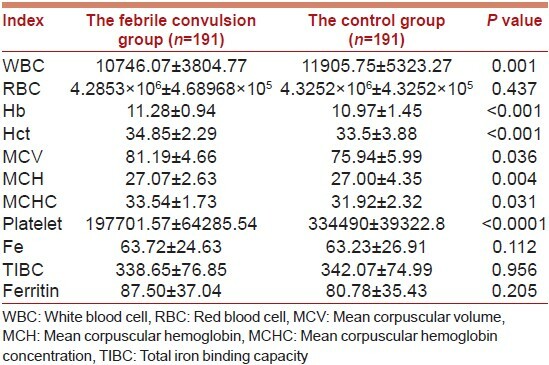 In a prospective study of 150 children, mean ferritin levels were significantly lower in children with a first febrile seizure than in matched controls with febrile illness but no convulsions (29.5 versus 53.3 mcg/L). Plasma ferritin levels ≤30 mcg/L occurred in a significantly greater proportion of children with seizures than controls (65 versus 32%). Further studies will be required to confirm this preliminary finding. Iron insufficiency is known to cause neurological symptoms like behavioural changes, poor attention span and learning deficits in children. Therefore, it may also be associated with other neurological disturbances like febrile seizures in children. Febrile seizures occur in children between the ages of six months and six years, with the majority occurring in children between 12 to 18 months of age. Febrile seizures have been reported also in children over six years of age, but in older children, febrile seizures should be considered a diagnosis of exclusion, as they are like to have afebrile seizure only. Simple febrile seizures are the most common type encountered in children. Generalized seizures are mainly clonic, but other forms include atonic and tonic spells. The facial and respiratory muscles are commonly involved. Complex febrile seizures (focal features, longer than 15 minutes or multiple episodes in the first 24 hours) are unusual; prolonged convulsions occur in less than 10% and focal features in less than 5% of children with febrile seizures. An initial simple febrile seizure may be followed by complex seizures, but the majority of children who develop complex febrile seizures do so with their first seizure. In one study of 158 children with a first febrile seizure, prolonged seizures (>10 minutes) occurred in 18% and were associated with developmental delay and younger age at first seizure. The findings of this study suggest that 10 rather than 15 minutes might be a more appropriate criteria for complex febrile seizure, particularly for purposes of prognosis. The majority of children have their febrile seizures on the first day of illness and, in some cases, it is the first manifestation . The degree of fever associated with febrile convulsions is variable, and approximately 25% of events occur when the temperature is between 38ºC and 39ºC. Involuntary movements can occur in sick children and be confused with seizures and epilepsy. Meningitis and encephalitis are the main concerns in a child presenting with fever and seizures. It is exceedingly rare for bacterial meningitis to be detected on the basis of doing a "routine" evaluation of the CSF after a febrile seizure. When the only indication for performing a lumbar puncture is the seizure, meningitis will be found in less than 1% of patients and less than one-half of these will have bacterial meningitis. Children with status epilepticus (SE) and fever are more likely to have bacterial meningitis than those with a short seizure. Meningitis must be considered as a diagnostic possibility in children with SE and fever. Diagnostic testing is unnecessary in most patients with simple febrile seizures . 1) Lumbar puncture : the need for a lumbar puncture (LP) with CSF examination to exclude meningitis or encephalitis in children with a febrile seizure is uncertain. 2) Other tests: complete blood count and measurement of serum electrolytes, blood sugar, calcium, and urea. These parameters should be measured also when the patient has a history of vomiting, diarrhea, and abnormal fluid intake, or when physical findings of dehydration or edema exist. 3) Computed tomography (CT), MRI, electroencephalogram are generally not required for children with simple febrile seizures. General considerations: febrile seizures that continue for more than five minutes should be treated. Airway, respiratory status, and circulatory status are continuously assessed in patients with active seizures. Blood should be obtained for electrolytes and glucose determination. Antiepileptic drugs should be administered intravenously, if possible, starting with short-acting benzodiazepines such as diazepam (0.05 to 0.1 mg/kg).The child's respiratory status needs to be monitored carefully and intubation undertaken if the ventilatory status becomes inadequate. The prognosis for children with febrile seizures is favorable. Long term outcomes are generally good with little risk of neurological problems or epilepsy. Seizures with sudden death are associated among children with complex febrile seizures. Children with febrile seizures are at risk for developing recurrent febrile seizures. The overall recurrence rate is approximately 30 to 35%.